It has been a fairly slow couple of weeks down the allotment – work has been busy and the weather progressively getting worse have combined to minimise clearing and sorting of the allotment for a while. 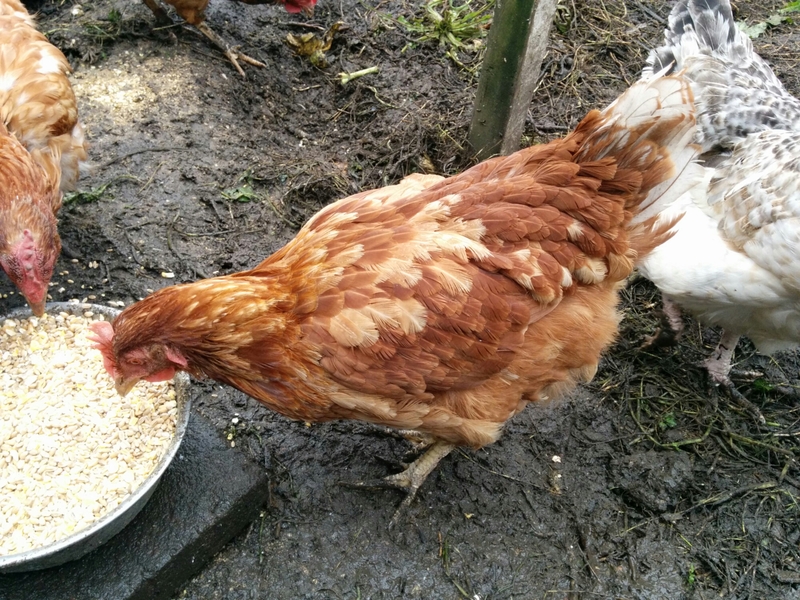 The last couple of days I have dashed to feed the chickens in the rain and have noticed that whilst Doris and Evie have had their feathers grown back almost completely, there is something odd with Doris’s. Her new feathers have come through a chocolate brown colour, in stark contrast to her light brown feathers she hasn’t shed during the moult. 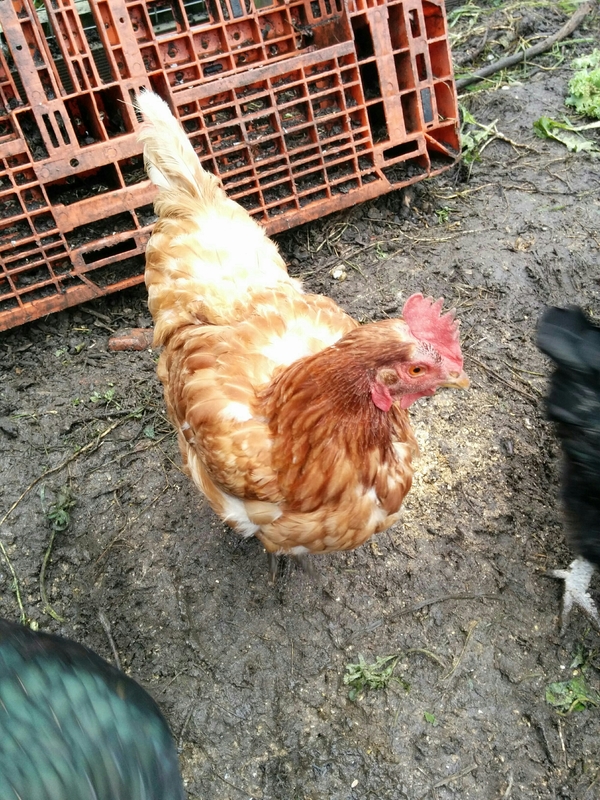 After consulting Cliff and Geoff I am no nearer in explaining why she has changed her colours, except to suggest she feels threatened by the prospect of sharing the coop with pure bred chickens in the next couple of weeks. Masie has eventually decided to copy Evie and is in the process of besting Evie by shedding all feathers rather than most of them. Hopefully they all come back in before the weather really turns wintery. The replacing of the shed dilemma continues but Geoff has passed me the details of the new plot holders who are landscape gardens who may be able to help us in sourcing a new shed and assisting us in building a solid base. I shall follow this up tomorrow! 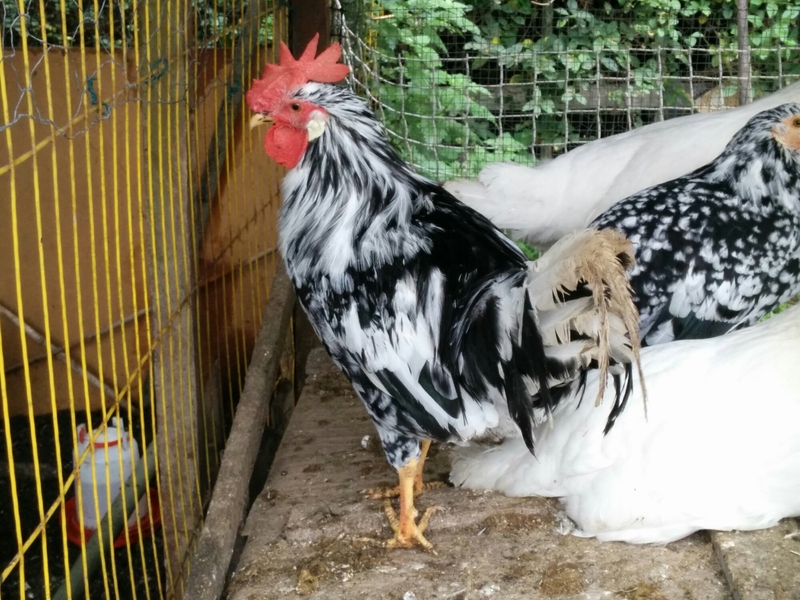 Cliff’s cockerel which has yet to crow. He is a marvellous specimen! The rat situation appears to have worsened despite Cliff’s heroic efforts. 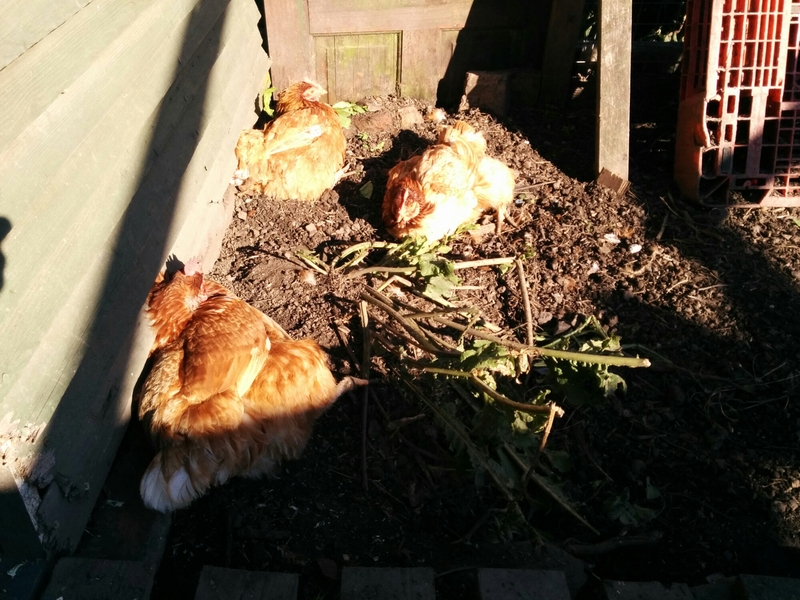 They have spread to Geoff’s and Cliff’s coops in the last week and so much poison has gone down (I hasten to add, well out of chicken reach!) that our supply has run out! Yesterday Cliff tried out formaldehyde soaked corn, hoping that inquisitive rats would go for it. Apparently not. So back to the drawing board and possibly to the committee to ask them to buy the liquid poison so we could soak a full bag of corn in it rather than constantly having to buy small amounts that run out fast.